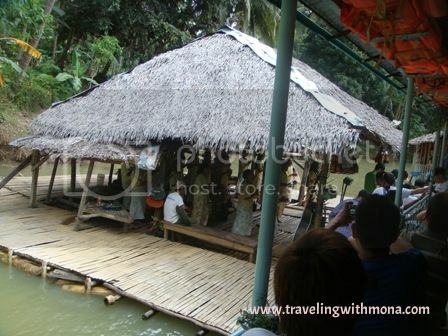 It’s good to hear the Loboc River Cruise also known as the floating restaurant started their operation again after the devastated earthquake happened in Bohol. As I have mentioned in my previous post we went to Bohol last 2011. It’s been a long time but I still remember the beauty of this place. 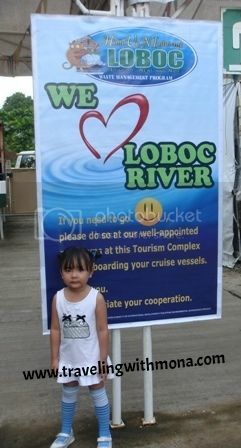 Here is my daughter she was 3 that time, picture taking before cruising the river. 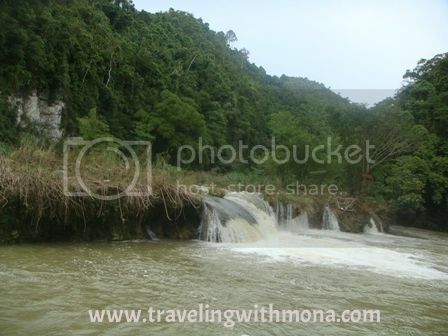 The said river is one of the top destinations in Bohol, aside from the famous Chocolate Hills and Tarsiers. The cruise takes about an hour-long and serves with buffet. 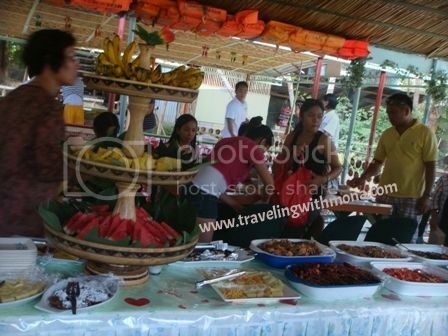 This buffet includes Filipino foods and different tropical drinks such as fresh coconut. Also on board, entertainment is provided where singers are also on board. 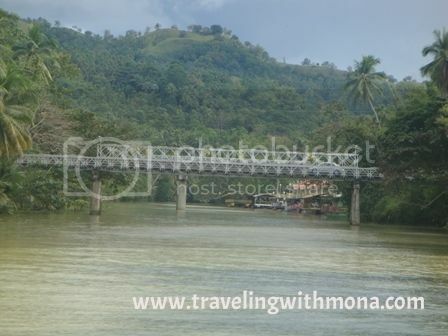 Here are other photos I took while cruising the Loboc River. The water of the river is greenish and calm. The river cruise ends at the Busay waterfalls which is just a low waterfall where the water of the river comes from. On this section, some floating rafts are located where Boholano people with guitars offer guests some music while experiencing the sound of water from the waterfall. Loboc River Cruise is one of a kind experience with delectable foods, entertainment and beautiful scenery nothing to ask for. Look forward to visit and experience this floating restaurant in the near future.